We collaborate with the best in class technology companies to deliver an innovative and robust ETL-as-a-service solution so you can focus on your business. Blendo is a proud AWS Technology Partner, part of the global Amazon Partner Network (APN). Amazon Web Services (AWS) is a secure cloud services platform, offering compute power, database storage, content delivery and other functionality to help businesses scale and grow. Learn more. Blendo is a proud Google Cloud Platform (GCP) Technology Partner. Google Cloud Platform (GCP) frees you from the overhead of managing infrastructure, provisioning servers and configuring networks and offers exciting services and tools. Learn more. 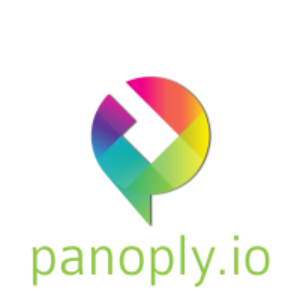 Blendo is partnering with Panoply.io. Panoply.io provides end-to-end data management-as-a-service. Provision your instance with Panoply.io and they will automatically automate all the maintenance tasks for you. Learn more. Blendo is a proud Confluent Partner, part of the Confluent Partner Program. Blendo has joined the Confluent Partner Program to expand ETL as a service solutions and help drive the adoption and implementation of Apache Kafka. Blendo is a proud Chartio Partner, part of the Chartio Partners ecosystem. Chartio is a powerful Analytics tool. Chartio offers great data exploration capabilities for everyone. Easily connect your data and create dashboards, without any SQL knowledge. Learn more. Blendo is a proud Looker Technology Partner. Looker is a leading BI and Analytics tool. Looker offers analytics for all. Learn more. Blendo is a proud Periscope Data Technology Partner. Periscope Data is a modern BI solution that offers data professionals and organizations the fastest way to find insights, the most powerful tool for any type of analysis, and the flexibility to scale to meet your future analytics needs. Learn more. Blendo is a proud Yellowfin Business Intelligence Partner. Yellowfin is a modern analytics platform that connects people and their data. Learn more. At Blendo, we are always on the lookout for new partners in order to provide a more comprehensive customer experience. Please contact us and we will get in touch with you.